Starting off with 108 Sun Salutations then Ayurvedic Cleansing food Kitchari and Rice and Raisins. Class fee is $20 including lunch. Please read below for details and reserve your space. Moving Meditation to help ease the transition from winter into spring. Sun Salutations are a way to help de-clutter this spring, since they allow you to take in ‘prana’ or life force and exhale ‘apana,’ or that which is no longer needed. Every salutation gives you the opportunity to give and receive. We will do 9 sets of 12 Sun Salutations. Taking breaks in between if needed. It’s an amazing practice honoring the change from winter to spring. In Ashtanga Yoga, we celebrate them on each solstice and equinox. It can be a strong practice + athletic and yet, quite meditative. It is a great way to honor the past winter and set/renew our intentions for this year. Knowing Surya Namaskar A [sun salutations a], helps, but isn’t necessary. We will start with modified sun salutations and progress but you may do what works for you. Most important is the wave of energy you will rhythmically start to create and feel. Practice is between 90 minutes to 2 hours. Mitch has done 108 Sun Salutes in under 40 minutes. It takes me almost 30 minutes to do 54 (half). This is a personal practice. No need to worry what your neighbor is doing. They are doing their own cleaning work. 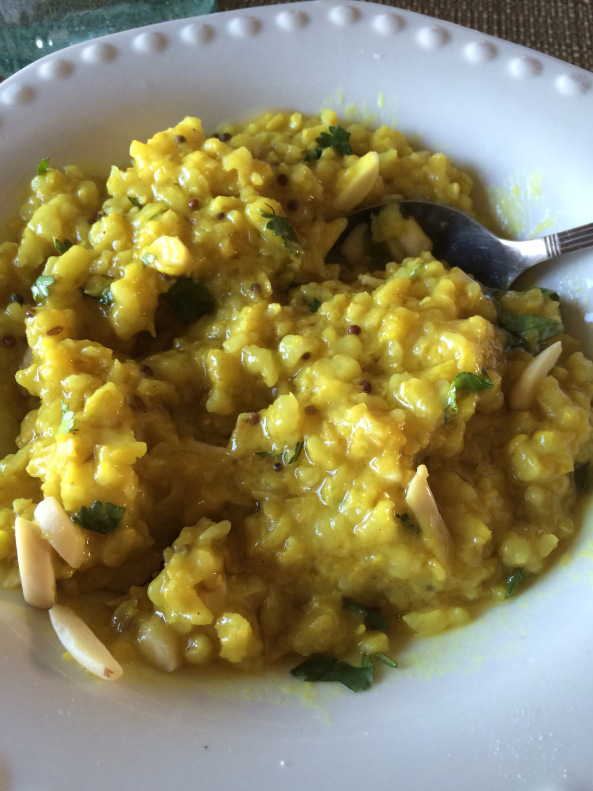 Afterward we will enjoy a cleansing meal of kitchari, and rice and raisins afterward. These are the foods we eat during our cleanse, and this will give you a chance to taste them (at the perfect time of year after a perfect practice) and decide if you want to continue on your 3-7 day cleanse to continue the Ayurvedic cleansing ritual. If you are you are already interested in the cleanse diet ahead of time, let me know and I will order the cleanse kits ahead of time and have them here for you to take home. Please let me know by March 13th. 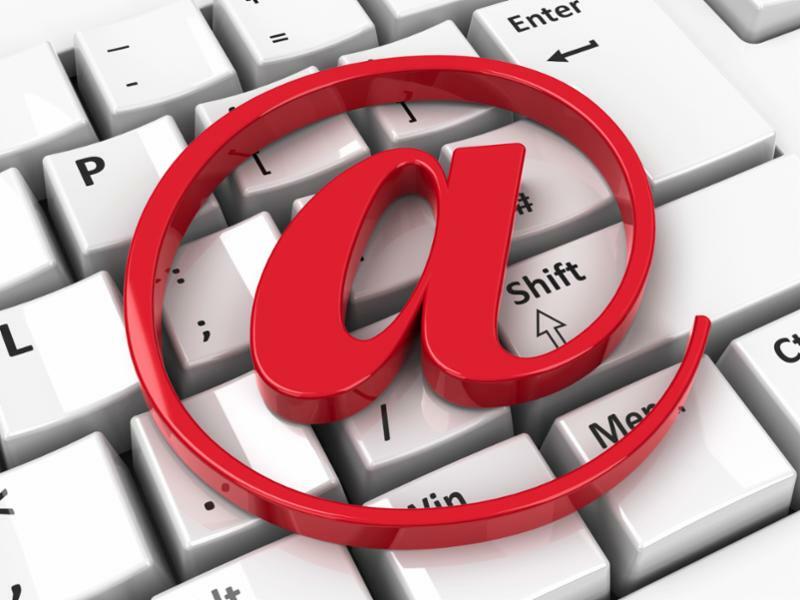 or mail us a check to the below address. 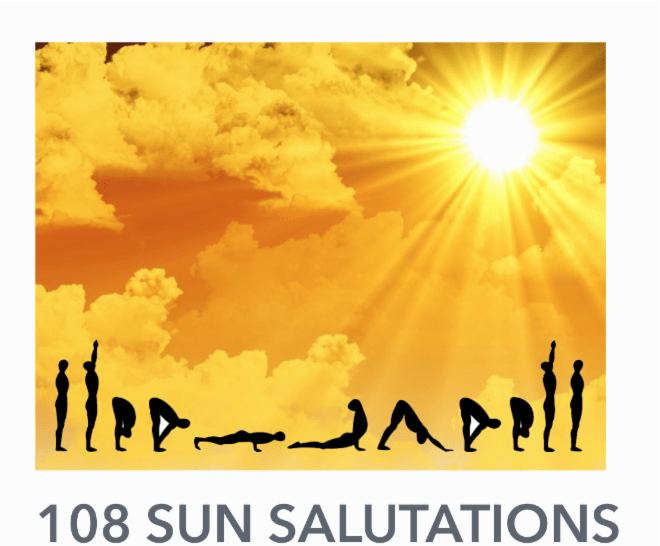 So what’s this 108 Sun Salutations all about? 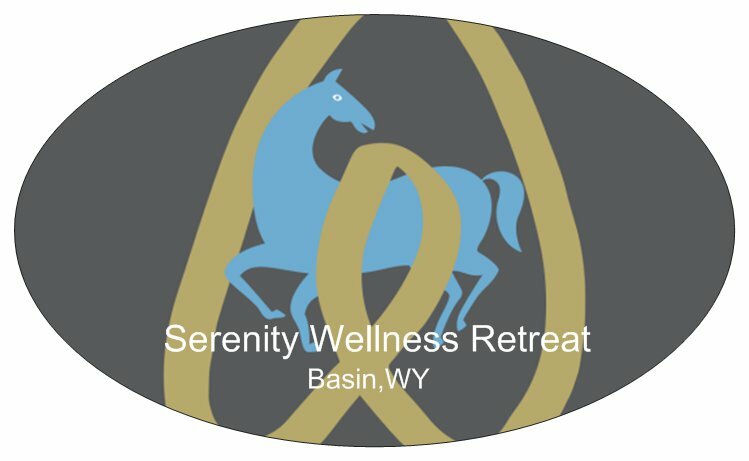 It’s a powerful experience that will stretch you and leave your yoga practice changed. Along with being an incredible way to detox, physically and mentally, this experience will stretch and expand you to the core and is good for anyone who’s looking to fulfil a personal challenge! There are many reasons why we do 108 Sun Salutations at the beginning of each season. 108 is said to be an auspicious number and its significance is open to interpretation. 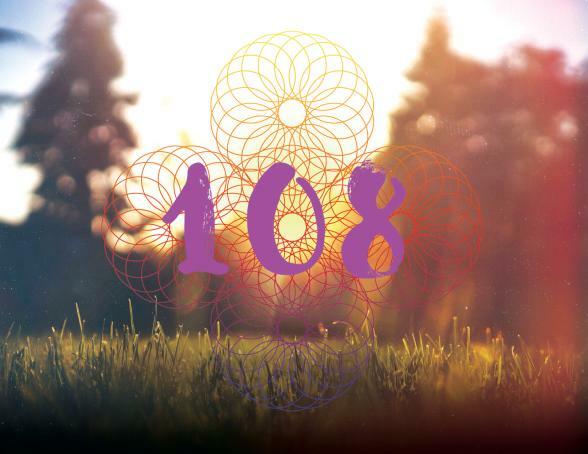 But 108 has long been considered a sacred number in yoga. Traditionally, malas, or garlands of prayer beads, come as a string of 108 beads (plus one for the “guru bead,” around which the other 108 beads turn like the planets around the sun). A mala is used for counting as you repeat a mantra-much like the Catholic rosary. Help! We need your feedback.